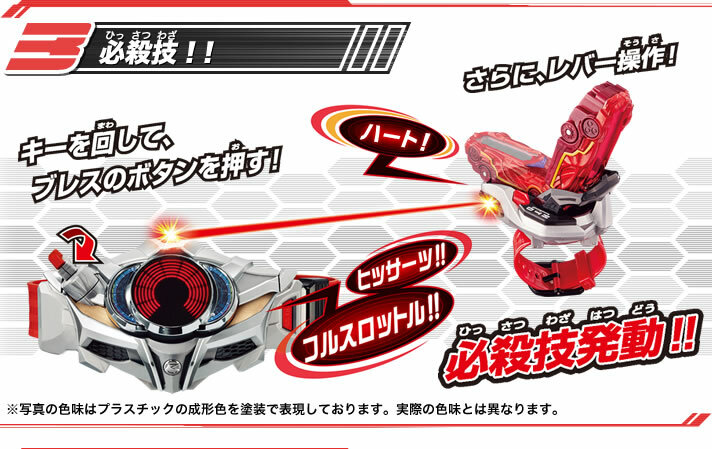 Premium Bandai has revealed details on the Shift Ride Crosser and Shift Heartron bonuses for the upcoming Kamen Rider Drive Saga: Mach & Heart V-Cinema. The next stage in the Kamen Rider Drive story was recently announced as Drive Saga: Kamen Rider Mach & Kamen Rider Heart. 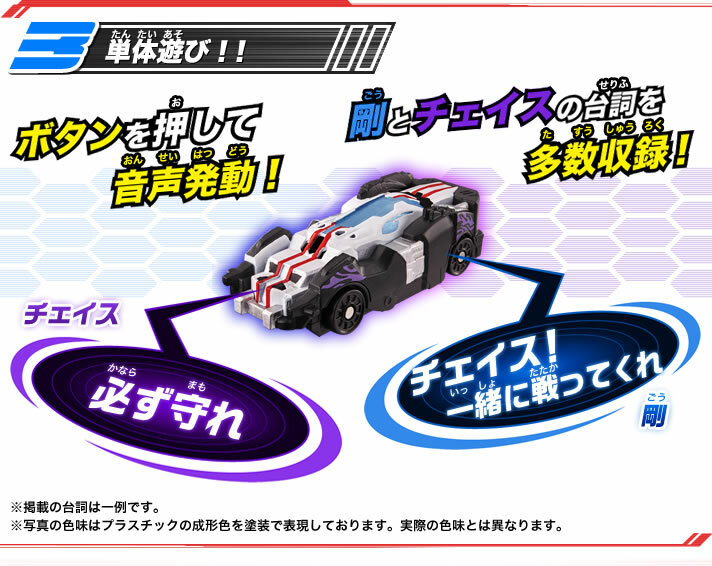 When the latest V-Cinema was announced, a special edition of the movie was revealed to contain Shift Ride Crosser and Shift Heartron toys, two new Shift Cars that will debut in the movie. Shift Ride Crosser, as the name suggests, is designed after the Ride Crosser, the combined form of Mach’s Ride Macher and Chaser’s Ride Chaser. The toy is one solid piece, not capable of flipping (similar to a Viral Core in that regard) and is designed for use in the Mach Driver. 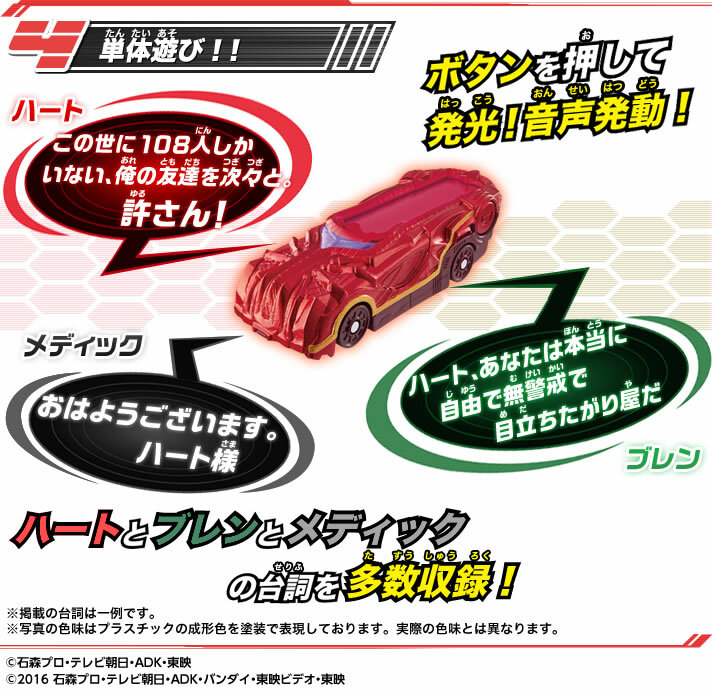 When inserted into the toy, the Shift Car itself will announce “Mach Chaser!” with a transformation jingle, implying that we might see the return of Kamen Rider Mach Chaser in this V-Cinema special. On its own, a button is located on Shift Ride Crosser that will activate a number of phrases voiced by Gou and Chase. Shift Heartron is a remold of of Shift Tridoron, meant to be a fusion of all of the Viral Cores, similar to how Shift Tridoron was a fusion of all Shift Cars. 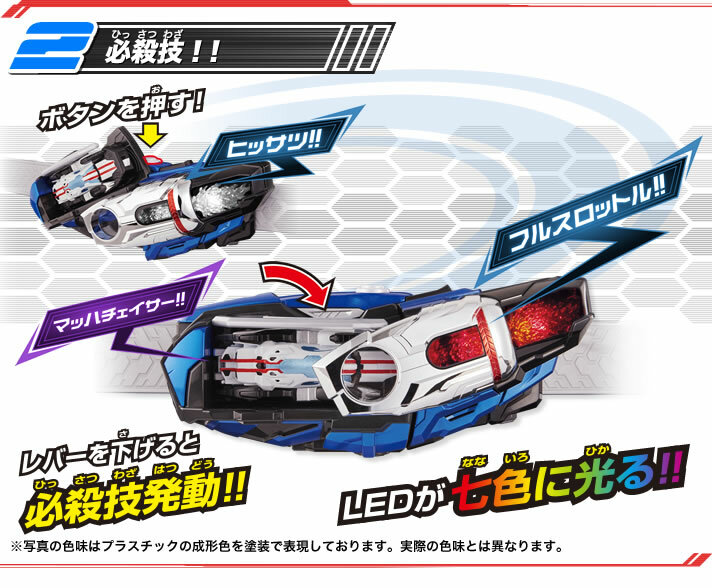 It is unknown if the mirror display will have LEDs or an image like Shift Tridoron, but it is still present on the toy. Pressing the side button will announce “Fire! All Core!”. 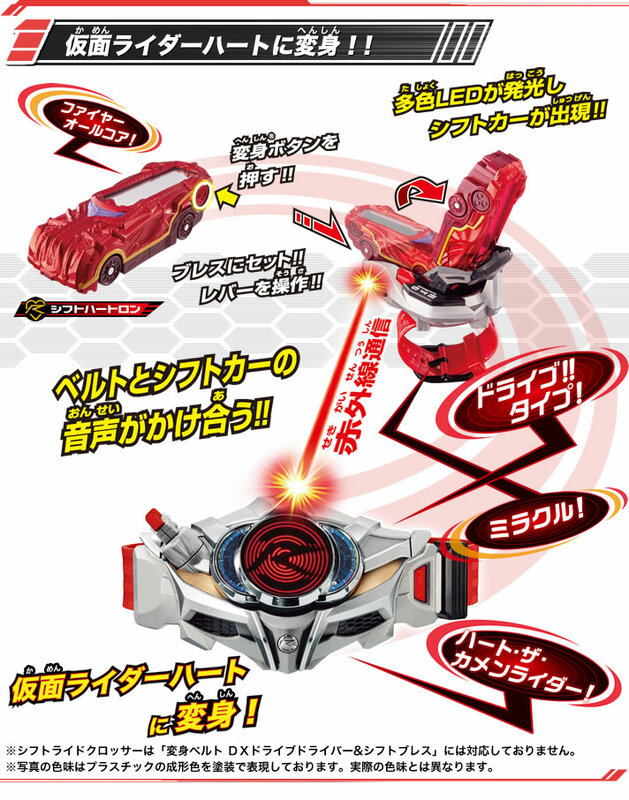 Inserting the toy into the DX Drive Driver’s Shift Brace will activate a transformation for “Drive Type Miracle!” with a secondary sound of “Heart! The Kamen Rider!”. Pressing the alternate side button will activate “Come on! Heart!” while shifting the Shift Car will activate “Viral! 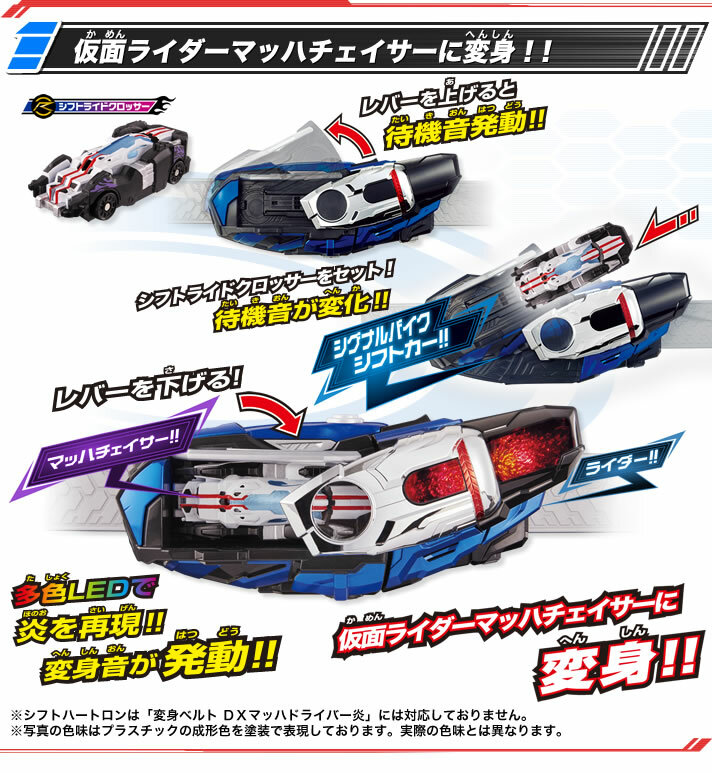 Kakimazeru!”, similar to the Tire Kakimazeru of the Shift Tridoron toy. On its own, the additional side button will activate a number of voice clips from Heart, Brain, and Medic. 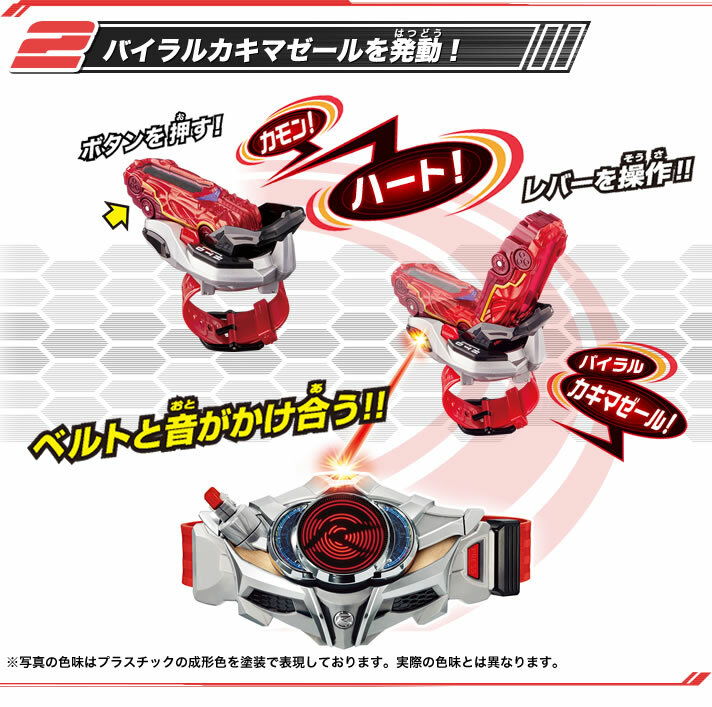 Kamen Rider Drive Saga: Kamen Rider Mach & Kamen Rider Heart is currently available for preorder via Premium Bandai, and should also be available for preorder at retail stores such as Amazon Japan. The special DX Shift Ride Crosser & Shift Heartron Edition will retail for ¥14,040 before fees and shipping and will release in November 2016. Preorders will close August 25th, 2016.